We’re looking for a Barista to join our new restaurant Harry’s Dolce Vita. Joining the front of house team to make sure high standards are maintained. <br> <br>You will have a passion for creating exceptional hot beverages, welcome all our guests with energy and enthusiasm – you will make their experience with us special and second to none.<br><br>Who are we? <br>A mixture of legendary Italian charm, delicious unfussy food, refreshing drinks, stylish decor and some good old fashioned fun.<br>  <br>Who are you? <br>You are:  <br>•	A willingness to work in a supportive and structured environment <br>•	A barista background will be ideal but not a must<br>•	A good communicator, exceptionally friendly and inclusive, even after a long shift  <br>•	Experience in supporting the seamless running of a restaurant by providing excellent guest service  <br>•	Ability to work effectively as part of a team and work on your own initiative  <br>  <br>What’s in it for you? <br>•	Top class training, before the job, and on the job <br>•	Meals from our menu <br>•	Lots of benefits including your uniform, cycle to work scheme, a recommend a friend scheme and savings on things like gym membership and cinema tickets <br>•	A salary you’ll be hard pressed to beat<br>•	Generous discount when dining in the restaurant<br><br>Why Harry’s Dolce Vita?<br>Reminiscent of 1950s and 1960s Italy, its natural elegance and impeccable heritage will offset high octane Italian energy and enthusiasm. Harry's Dolce Vita will open its doors from dawn till late - serving breakfast, lunch and dinner with every Italian delizia you can imagine in between. Dinner will be a very relaxed and social affair. <br>Seasonal Italian ingredients pepper the food and drinks menus and this versatile kitchen will turn its hand to Italian favourites in every section and last but not least, the drinks list. 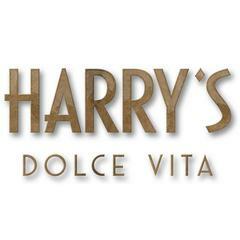 Harry's Dolce Vita is posting their hospitality jobs on Harri.